This book is about the popular cinema of North India ("Bollywood") and how it recasts literary classics. 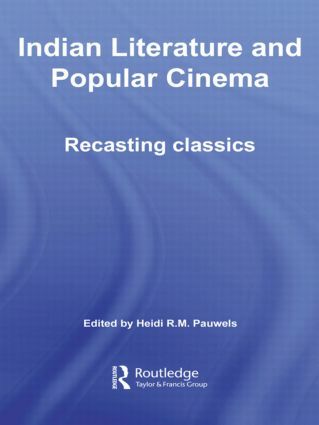 It addresses questions about the interface of film and literature, such as how Bollywood movies rework literary themes, offer different (broader or narrower) interpretations, shift plots, stories, and characters to accommodate the medium and the economics of the genre, sometimes even changing the way literature is read. This book addresses the socio-political implications of popular reinterpretations of "elite culture", exploring gender issues and the perceived "sexism" of the North Indian popular film and how that plays out when literature is reworked into film. Written by an international group of experts on Indian literature and film, the chapters in this book focus on these central questions, but also cover a wide range of literary works that have been adapted in film. Each part of the book discusses how a particular genre of literature has been "recast" into film. The individual chapters focus on comparisons and close studies of individual films or film songs inspired by "classics" of literature. The book will be of interest to those studying Indian film and literature and South Asian popular culture more generally.